→Trevo Latest Reviews: Discover the Truth In My Review! Trevo Latest Reviews: Discover the Truth In My Review! Welcome to my updated Trevo Review! I have just published a YouTube video where I analyze whether or not Trevo is a good company for making money. This is a 100% unbiased Trevo review because I am not affiliated with the company in any way. You also learn in the video the PROVEN 4-step formula to make money online that you can use also with Trevo. The same 4-step formula works also with other products and companies. I use it myself to making a full-time income online. Does Trevo Work? Is Trevo a scam? Is the program worth joining? Is Trevo drink worth the money? You are probably asking some of these questions from yourself. Your friend has recommended the product to you or you have found it on the Internet. Whatever is the case, you have come to the right place. In this Trevo review, you will get my sincere answers to your questions. I am not affiliated with Trevo in any way but I have a huge experience and knowledge of other similar programs. Actually, we have reviewed more than 100 MLM-programs on YourOnlineRevenue.com. Trevo website uses an “old-school” design. Short Review: I’m not convinced about Trevo. Yes, their product is good and it provides some good quality. However, the idea is typical of many other MLMs. They make big profits by selling an overpriced product. I prefer promoting products and services that provide the best value also for the customer. Check out my #1 work from home recommendation which is superior to Trevo. 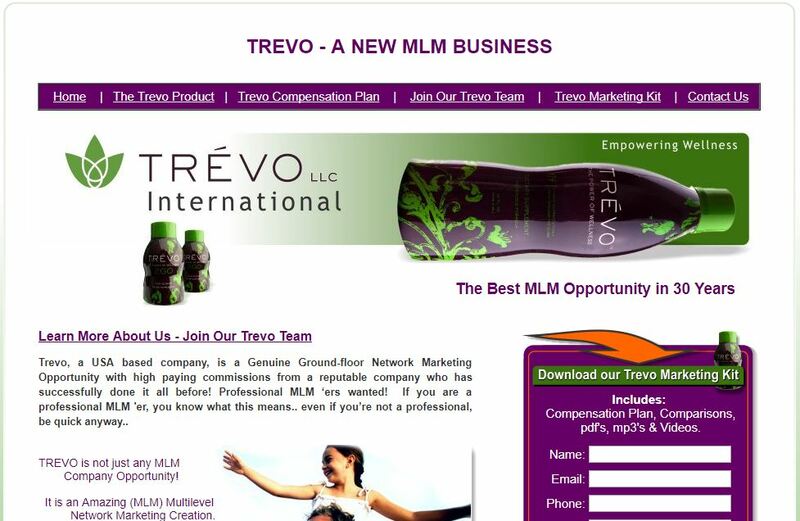 Trevo is a popular health and nutritional MLM company with worldwide spread branches. It was founded by the Stevens company with Mark Stevens as the CEO and Holli Stevens as the Director of Finance. Both are recognized personnel in the Business world with big titles accorded to their names in the business and marketing field. 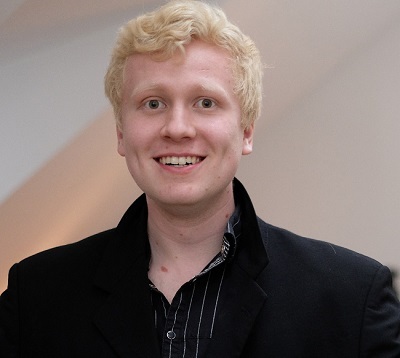 It would be just to conclude that the company owes its rapid growth to the two skilled founders. Mark is a best-selling author and is listed in the Who’s Who in Corporate America and serves on a number boards and charities. Holli, on the other hand, is recognized as a top sales person in the direct sales industry with prestigious awards. The company’s mission is to be more than just another successful company- or at least that’s what they claim. The company was founded in November 2010 by the Stevens couple and has seen rapid growth over the years. The company now operates in various countries including USA, Kenya, Cameroon, and Ghana. The company only has one product which is their vitamin enriched bottled supplement. They claim it’s a one-of-a-kind blend with 174 of naturally occurring ingredients which seems a little too excessive but oh well! The drink is allegedly supposed to have reversal and prevention of diseases- well like any other health and wellness product in the market of course. The company only has one product which is the Trevo multivitamin supplement. This bottled product comes in two different types of bottles. The two bottle packages are a 32-ounce bottle and a 2-ounce bottle. The ingredients include the obvious antioxidants, vitamins, bioflavonoids, essential fatty acids, sea vegetables etc. The product boasts of helping with the following: boosting of the immune system, a healthy cardiovascular system, weight management, diabetes control, anti-cancer benefits, healthier digestive system and Enhanced mental functioning. Basically, it helps with all that you would expect a health and wellness product to do. Judging from other health and wellness products in the market, it would not be far from the truth to say that Trevo products are Expensive. The Company however faces competition from similar health, fitness and wellness companies in the fast-growing industry. Some of their major competitors include Forever Living, Melaleuca and Amway which have also taken up a major part of the Multi-level marketing market share. Working for Trevo as an online marketer makes you a distributor or “life and health coach” as they call it. First one chooses the enrollment system that best works for them but one can upgrade to other systems as time goes by. On the least enrollment level, you receive three Trevo bottles and a customizable personal Trevo website as the starter kit. On the highest enrollment level, you receive 24 bottles (eight cases), one of each Trevo sales tools, a reference guide and access to their back office system for a year. The starting cost, therefore, depends on which enrollment level you choose. You have to purchase a monthly minimum product of 1 bottle of 32 ounces Trevo bottle for you to remain active and receive your commission. You can do a maximum of 6 bottles auto-ship at the point of registration and a maximum of 12 bottles auto-ship monthly after registration. Trevo starting packages vary from $72 always up to $980 depending on your choice. If you need more than the maximum 12 bottles auto-ship, you only have to make a bulk purchase of the product. The more products you buy opens your doors to receiving more commission as it is in all other commission paying jobs. Trevo income will offer 33-40% profit margin. By buying at the distributor price which is $50 and selling at the recommended retail price of $75 this ends up giving you a 33% profit margin. This is one of the highest profit margins in the industry. Trevo distributors would, therefore, be expected to make a fortune from this business venture, but is it the case? At least they talk about big commissions and high paying opportunities on their homepage. On the other hand, big commissions usually mean overpriced products. Anyway, let’s have a look at their compensation plan. First, I’ll let Trevo CEO distributors explain you their compensation plan. I don’t endorse the video but it helps you understand how the company works. Still, keep in mind that the core purpose that they are making such videos is to sell you the system and recruit more people. The Trevo compensation plan pays distributors to sell Trevo juice to consumers. Distributors also earn income when they sponsor new distributors, with the majority of the compensation plan geared around an 8 level deep team. 1 bottle grants you access to 1 generation. 2 bottles grant you access to 2 generations. 3 bottles grant you access to 5 generations. 4 bottles grant you access to 5 generations. 6 bottles grant you access to ALL 8 generations. According to various reviews on Trevo’s production and distribution strategy, the company may be sitting pretty but a very small percentage of the reps and distributors get to see and enjoy that wealth. These are the reps at the top of the pyramid since they get to earn from sales made by other distributors that are under them. The distributors at the bottom of the system don’t get to make as much as they would wish to. However, on another review, Trevo is said to have a bright future. This is because they have high-quality products, unique compensation plan and detailed marketing training making it one of the best new health and wellness network marketing company in the field. 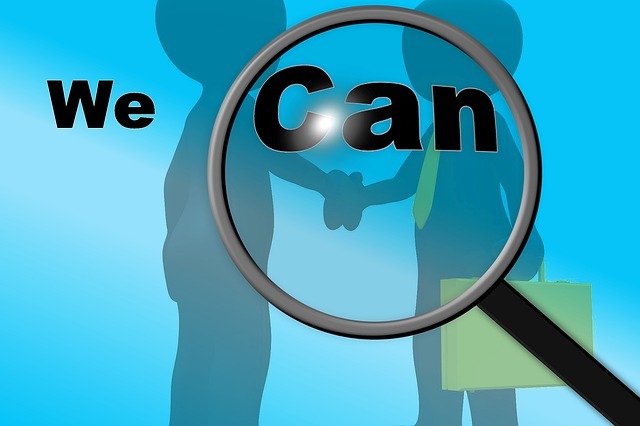 It can, therefore, be termed as a legit and reliable opportunity for anyone looking for long time residual income. Judging from reviews on www.complaintboard.com there are consumer complaints with a user, Everlight Matinga claiming they do not receive feedback emails from Trevo. Another user also claims to have invested a lot in money and time in Trevo only to have their account blocked without any information on why this happened. This contributes to the downside of Trevo as a source of income for the distributors. Interesting experience from Neeraz Nath about Trevo. I don’t have the first-hand experience of drinking Trevo drinks. Therefore, I would like to hear all your experiences about Trevo. Their multivitamin drink contains several great ingredients but I’m still doubting whether it’s worth the price or not. That leads us to the last chapter and conclusions about the opportunity. Conclusion – Is Trevo a Scam? Trevo isn’t a scam as they provide a real product that contains several useful vitamins and nutrients. A more important question, in my opinion, is whether it’s worth it or not. In my opinion, Trevo is just another MLM-company trying to sell their overpriced “magical pill”. My good friend who has went from Finland to Italy (+3,000 km) by bike, lifted over 160 kg in the bench press and has a healthy body often says that macros are the most important. When you have the sleep, great nutrition, and regular exercise, that’s what you really need for a healthy life. It has happened so many times that people who are overweight join these MLM-companies with the hope of the fast life change just by using some cool supplement. However, it just doesn’t change like that. It must be an overall change of a lifestyle. Of course, a support from other people in the same company can help. Support is important for the success in any business. That’s why I want to help you personally. 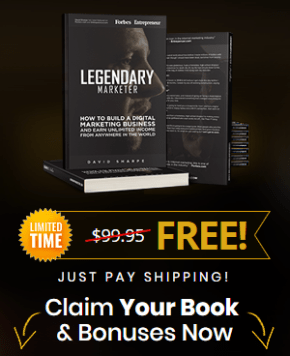 If you are looking for an honest way to make money, I recommend taking a look at this step-by-step training. It has turned complete newbies (like myself) to full-time online entrepreneurs. You can use same principles for marketing MLM-products or whatever you want. I am not a big fan of MLMs so I prefer promoting other products. The best part is that you can earn money “on autopilot” once you have set up everything. For example, 3 days ago I earned +$500 on autopilot during one day. Sometimes during my sleep, I earn +$200. It’s nice to wake up and check the email for such good news. It has required lots of work to get in this situation but it has been worth it. Click the link below to get started. I also provide you my 1-on-1 support and answer all your questions to help you out. I love to see people succeeding with honest businesses. 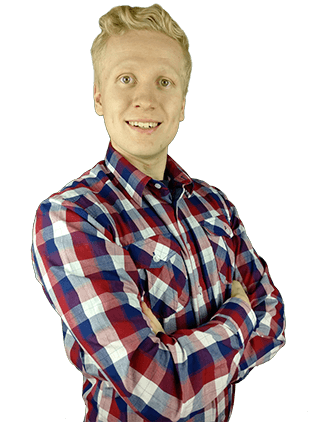 => I Used This Step-By-Step Training to Make +$500 in a Day Online! Do you have experiences with Bode Pro or other similar MLM-programs and their products? Are you interested in money-making opportunities online?